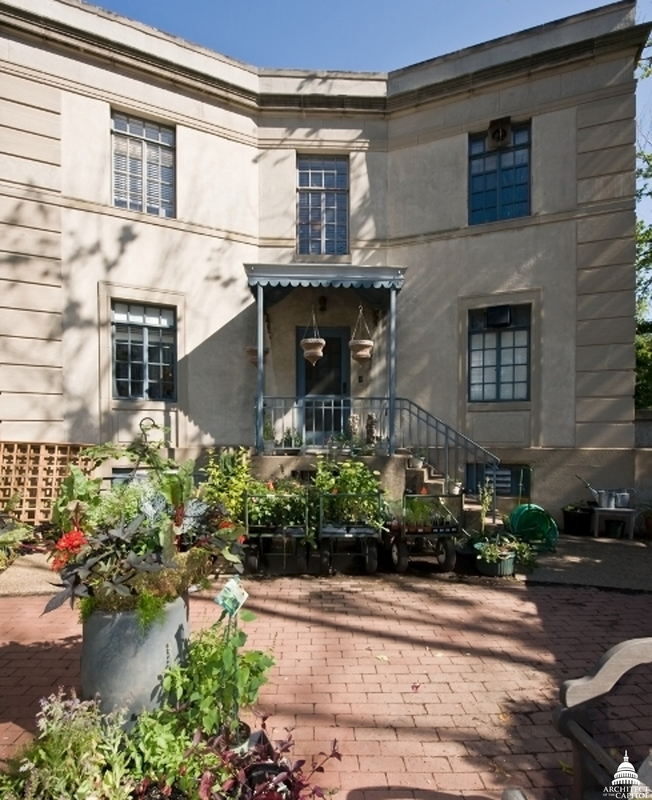 The offices of the United States Botanic Garden's (USBG) executive director are located in a residential building at the south end of Bartholdi Park, a two-acre site named for the sculptor of the magnificent fountain that is located nearby. The building was designed as the home for the USBG's director, and served as such for two years after being completed in 1933. 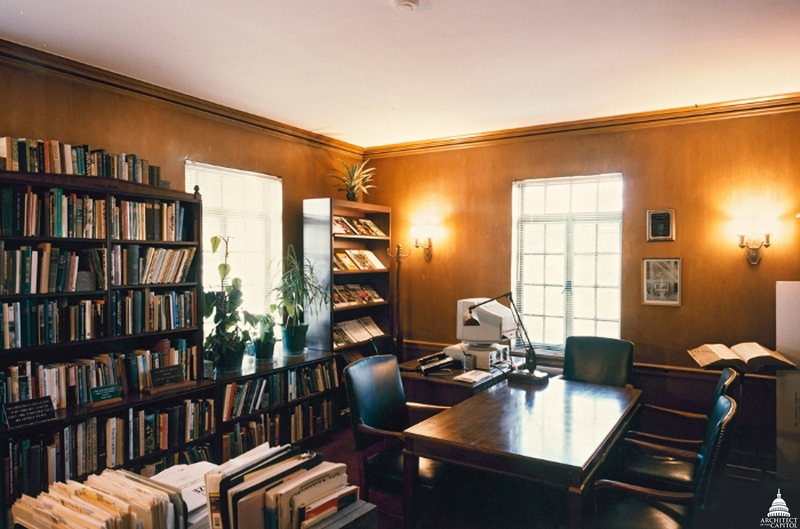 Used as a residence for only 18 months, it has functioned as the offices for the USBG administrative staff since 1934. It was designed by the firm of Bennett, Parsons & Frost of Chicago, which also served as the architects of the near-by Conservatory. The building is two-stories high above a full basement, faced with stucco-over-tile and trimmed with quoins. A flat roof lies behind a stucco-over-brick parapet. A one-story portico with curved ends and attenuated wooden columns shelters the principal entrance facing the park. The rear entrance is protected by a metal awning with a scalloped fringe. Inside, the first floor provided a stair hall, a living room, a dining room, a kitchen, a full bath and maid's quarters. Upstairs included a study, three bedrooms and two baths. Interior trim is characteristic of the Colonial Revival style with wooden architraves, baseboards and cornices. 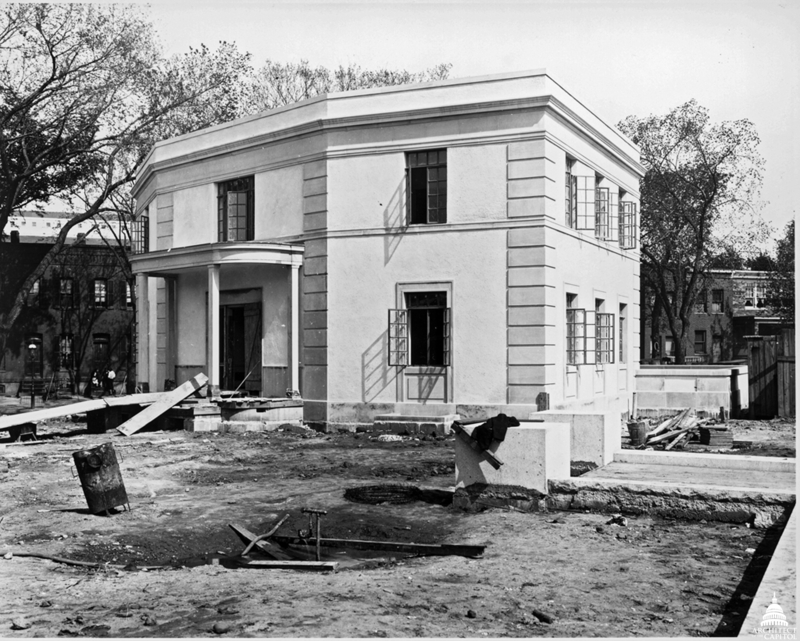 The sophisticated plan was developed in response to the irregular site and may have been influenced by the plan of "The Octagon," then the national headquarters of the American Institute of Architects in Washington. Historically, the director's residence is a vital link in the story about the relocation of the U.S. Botanic Garden off the National Mall as directed by the Senate Park Commission plan of 1902. To restore the Mall to the tapis vert envisioned by President George Washington and Pierre L'Enfant, the commission recommended removing all miscellaneous structures that had been thoughtlessly built there over the years. The USBG was one such example and was destined to be removed as part of the restoration of L'Enfant's celebrated plan for the federal city. The director's residence is a tangible legacy of the Senate Park Commission's vision of a world-class capital. When the residence was under construction, the director of the U.S. Botanic Garden, George Hess, lived in a modest brick home adjacent to the old facility. Planning the new residence reflected the status of Hess' position and the tradition of housing the director near the garden. The press praised the design of the director's residence, calling it a "jewel," "magnificent," and even then, "historic." 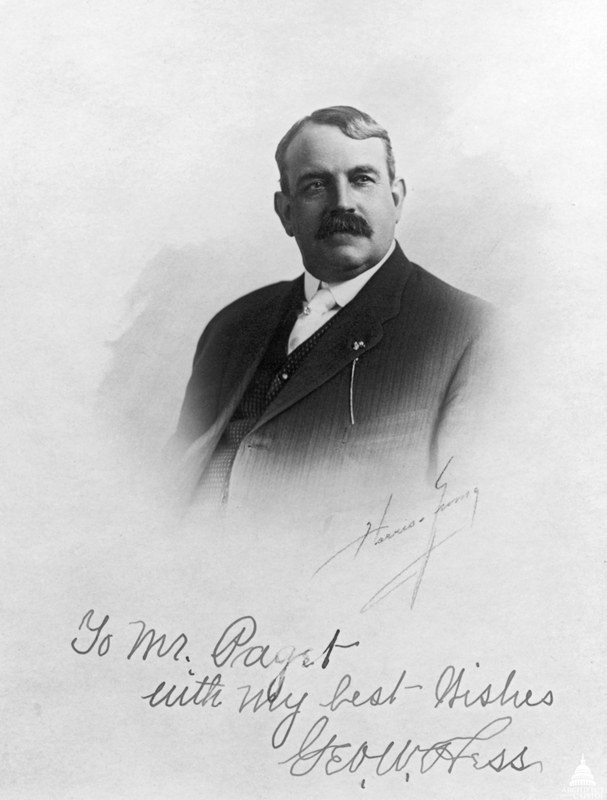 With Hess' retirement in 1934, however, the Architect of the Capitol became the garden's "acting director" and the new residence was used for offices. The change was motivated by economics and was an important development in the history of both the USBG and the Architect of the Capitol. The U.S. Botanic Garden was formally placed under the jurisdiction of the Joint Committee on the Library of Congress in 1856 and has been administered through the Architect of the Capitol since 1934. Find out more about the U.S. Botanic Garden at usbg.gov.